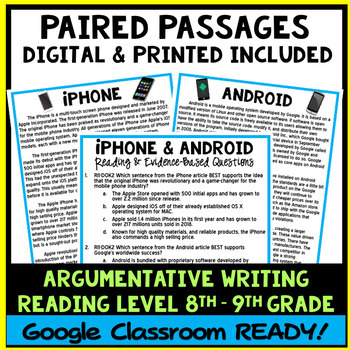 Paired Text (Paired Passages) have become popular with the Common Core State Standards, and getting students engaged in these can be daunting. 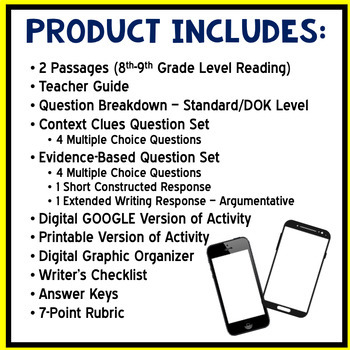 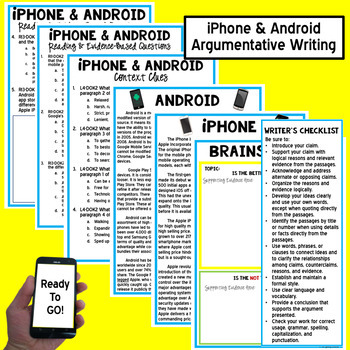 This Argumentative Writing GOOGLE CLASSROOM READY Paired Text Set is on the two top rival phones and will have the students' interested in reading and answering questions. 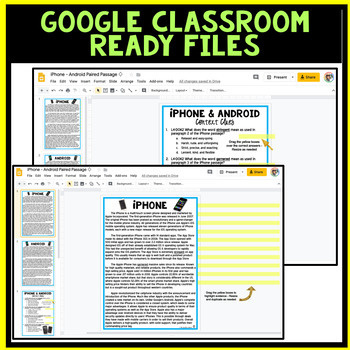 Not only does it cover interesting topics, but it also has Common-Core aligned questions and writing prompts to go with it.